Self assessment to determine how responsible you are. A great way to teach the pillar of responsibility in character counts. 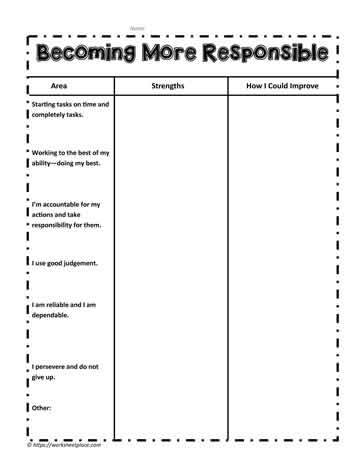 Worksheets about responsibility.